DETROIT — Automakers have promised to start selling hordes of electric cars in the next few years, but only two will be unveiled at the big Detroit auto show that kicks off this week — and those aren't even ready for production. "Every one of our SUVs has hybrids somewhere in the future, hybrids or electrified vehicles of some sort," says Craig Patterson, Ford's SUV marketing manager. Patterson will help show off a new version of the Ford Explorer big SUV at the auto show starting Monday, and it will have an optional hybrid power system. It is Ford's first hybrid SUV in six years, and the company also has plans for a fully electric SUV based on the Mustang sometime next year. Seven battery-powered vehicles are planned for the U.S. by 2022, even a hybrid pickup truck. 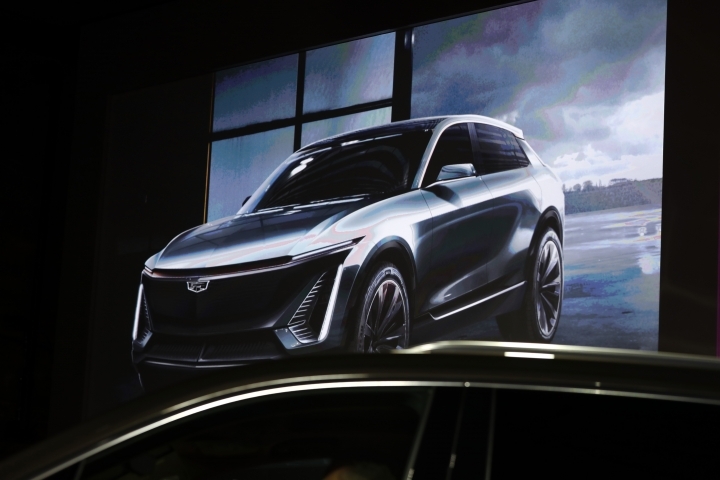 General Motors plans a Cadillac electric vehicle in 2021, and more than 20 that run on batteries or hydrogen in four years. Volkswagen, the world's largest automaker, wants to increase the number of electric models from six to over 50 by 2025. Other brands such as Audi, BMW and Porsche and Jaguar are rolling out electric vehicles. But in December, almost 72 percent of new vehicles sold in the U.S. were SUVs and trucks, up from 49 percent at the end of 2012. Because of the shift, Ford, Fiat Chrysler and General Motors are canceling some or all of their sedan lines. At the same time, they are hedging their bets by planning electrics and hybrids to give people fuel-efficient SUV options should gas prices rise from the current national average of around $2.24 per gallon. Design work on the Explorer and other vehicles being introduced at the North American International Auto Show began more than three years ago, when automakers thought their new vehicle fleet had to average about 36 miles per gallon by 2025 under U.S. fuel economy standards. That's about 10 mpg more than the current standards. Simon Mui, a senior scientist at the Natural Resources Defense Council who works on clean vehicles, said if the standards are frozen, years of improved efficiency will come to a halt. "I tend to treat these automaker promises to roll out electric vehicles kind of like New Year's resolutions," he said. "There's often a gap between what they promise and what they actually deliver." But auto executives say they've been working to squeeze more efficiency out of the internal combustion engine, to the point where there isn't much else they can do except add electric power. 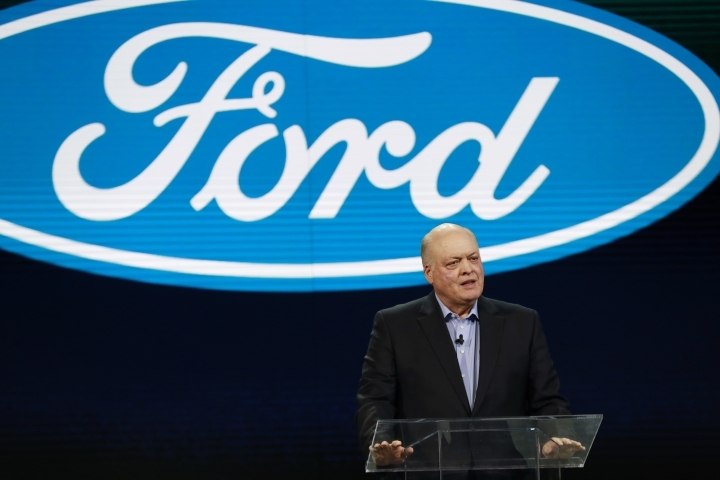 Ford's Patterson says even though gas is cheap, the company will sell the higher performance of hybrids, with gas engines boosted by instant electric power for acceleration. Consumers, he says, will be willing to pay for that. Also, due to technology breakthroughs, Patterson says hybrids no longer cost much more than standard engines. Ford plans to keep working as if the government won't freeze fuel economy standards because it doesn't know what will happen. "You have to meet it at some point, and you're going to have to build (for) California," he said. Still, selling hybrid and electric vehicles is tough in an era of cheap gas. In the U.S., fully electric vehicles amounted to less than 1 percent of new vehicle registrations through August last year. Yet globally, Navigant Research predicts huge growth in the next seven years, from just over 1 million sales this year to 6.5 million by 2025. The surge is expected because of government incentives in China. "It's yet another headwind for electric vehicles in the near-term, until the performance picks up, until we get to cost parity," he said.